To me, Chicken Parmesan is comfort food like no other, perfect any night but especially when the days get shorter, and there’s a bit of a chill in the air. This hearty recipe for a delicious, easy Chicken Parmesan with pasta and a homemade tomato sauce will make everyone at the table ask for seconds, maybe even thirds. It may taste Italian, but this humble dish is All-American and loved by everyone. There are so many different ways to make it, but I keep my Chicken Parmesan easy but homemade, right down to the tomato sauce. I make extra sauce so everyone can help themselves. I think you’ll love it. Cooking Chicken Parmesan for a crowd? Click and slide the number next to “servings” on the recipe card below to adjust the ingredients to match how many you’re feeding—the recipe does the math for you, it’s that easy. 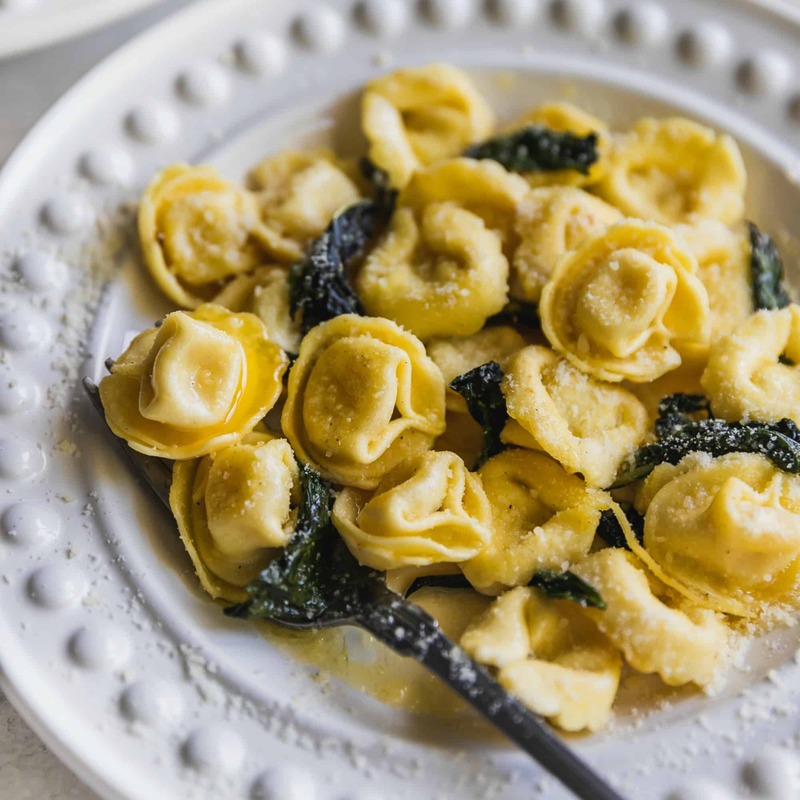 While this dish takes a page from Italy’s famous Eggplant Parmigiana, it gained its popularity in the states, when Italian-American cuisine became mainstream. Eggplant was still considered an exotic food and wasn’t widely available, while chicken was more approachable and in demand at restaurants. Today, both eggplant and chicken versions are loved around the world, and for good reason. How do you pound chicken flat? 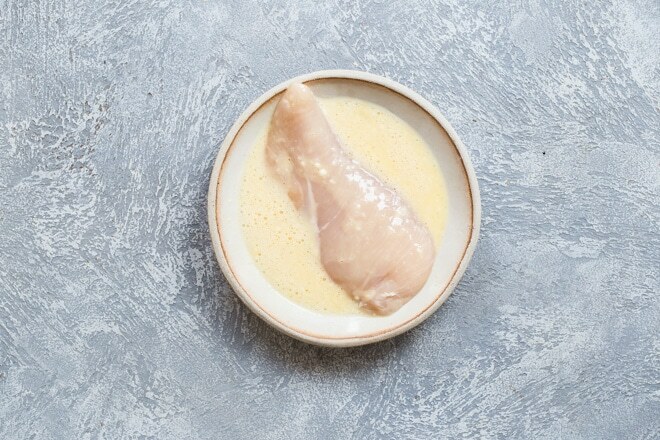 Pounding chicken breasts to a 1/2” thickness allows the chicken to cook evenly, which is especially important when there’s breading, which can burn if overcooked. Place the chicken pieces, one at a time, flat in a plastic, zip-top bag. Seal the bag, pressing out all the air with your fingers. Using a meat mallet or a rolling pin, gently pound, flattening the meat, until you get the desired thickness. Remove the chicken and repeat with remaining pieces. 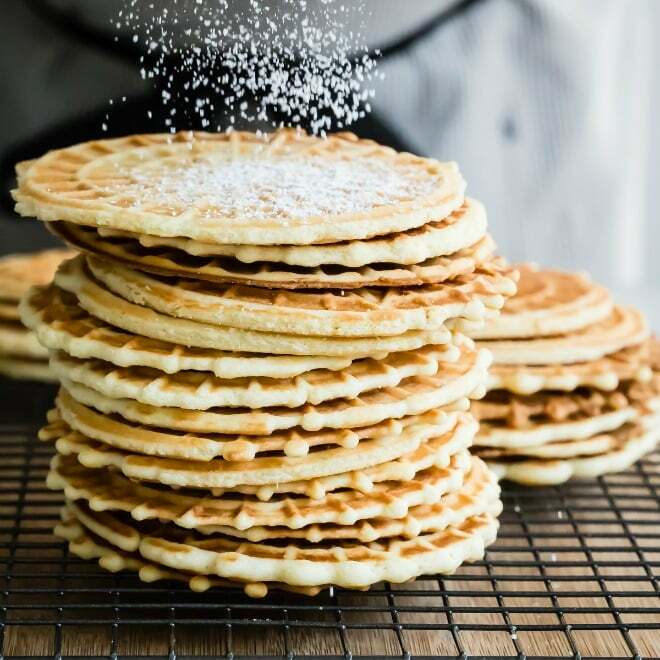 I always say that making your own food at home lets you be in charge of the ingredients, and avoid hidden calories and chemicals in food that has been processed in some way. 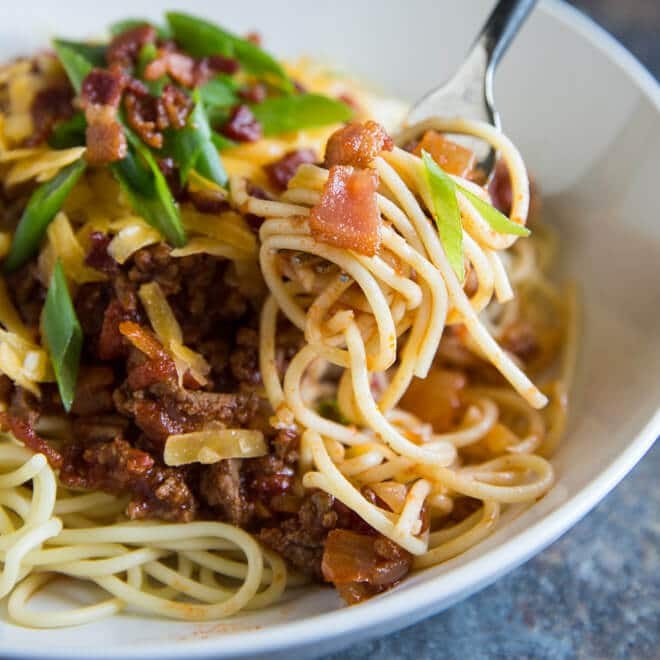 While this dish is on the richer side of the spectrum, because of the melted cheese and pasta, you can lighten things up and control portion sizes when you cook at home. Can you cook Chicken Parmesan in the oven? 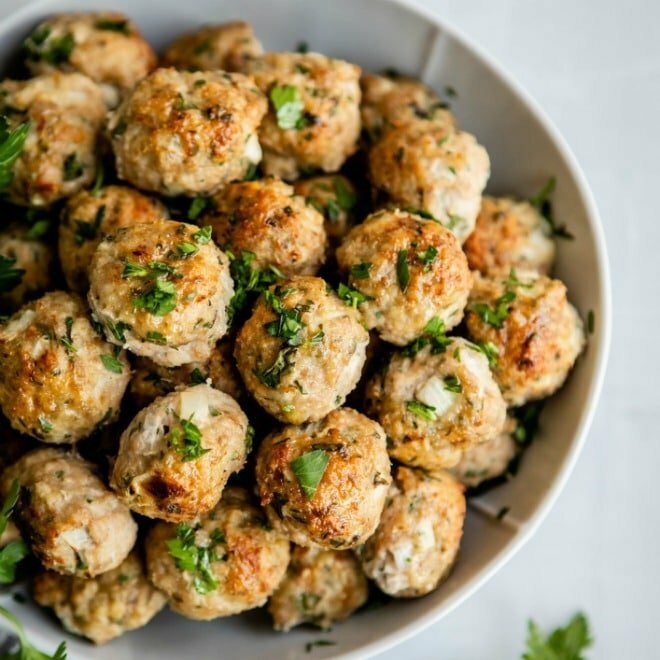 If you‘d prefer to make Chicken Parmesan without breading, or you have a gluten sensitivity, or are simply watching your carbs, there are some good substitutions you can make to give the chicken a little crunch. Try one and let me know how it goes! 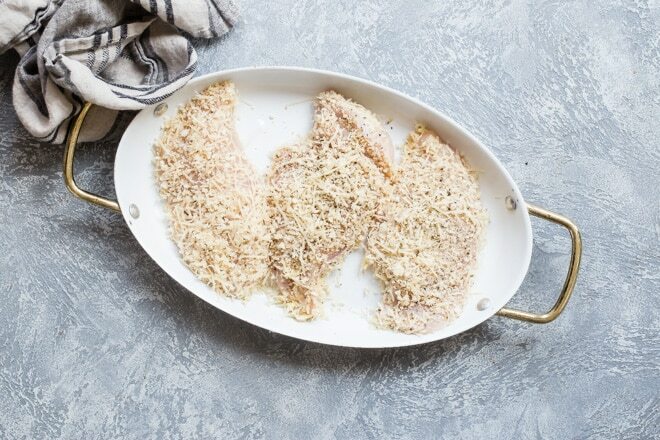 Omit the panko breadcrumbs in the recipe and replace them with extra Parmesan cheese mixed with the oregano and garlic. Substitute your favorite brand of gluten-free breadcrumbs. Try 1/2 cup almond meal in place of the breadcrumbs. Can you make Chicken Parmesan with thighs? You can, and I do all the time! I use boneless, skinless thighs and cook them a couple minutes longer, 2-3 minutes on each side, because they’re a little thicker than a cutlet. How do you make Chicken Parmesan with mayonnaise? Mix 1 cup mayonnaise with the dried oregano, garlic, and the Parmesan cheese. Spread the mixture over the chicken, then coat in the breadcrumbs and place on a foil-lined baking sheet. Top with cheese and broil as directed. 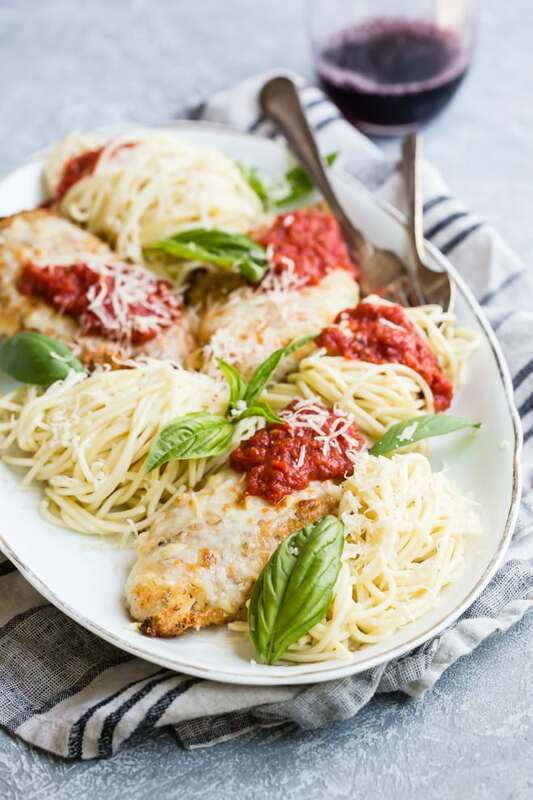 Chicken Parmesan in the crock pot is easy; with a few adjustments to the recipe, you’ll come home to a house that smells fabulous with dinner ready and waiting. Tip: you should make sure the chicken fits in the bottom of the crock pot in one layer, without too much overlap, so the breadcrumbs have a chance to get crisp. Add 1 tablespoon olive oil to the bottom of the crockpot. Dredge the chicken as instructed and place in the bottom of the pot, being careful not to overlap. Cover chicken with mozzarella and fontina cheeses. Gently spoon sauce over chicken. Close lid and cook on low for 6-7 hours or high for 3-4 hours. Fontina is an Italian semi-soft cow’s milk cheese with a buttery, nutty flavor. It also is an excellent melting cheese, which makes it ideal for Chicken Parmesan. If you can’t find it, though, Gruyère, provolone, Gouda, or Emmental are all perfectly fine to mix in with the mozzarella. Tip: To make shredding soft cheeses easier, spray some non-stick cooking spray on a box grater and the cheese will slide off of the grater and not clump as badly. How do you make a Chicken Parmesan sandwich? Find a crusty white roll that’s still soft in the center. Slice the rolls lengthwise. Butter the inside of each roll with garlic butter. When the chicken is cooked, add a cutlet to the inside of the hoagie and top with the fontina mozzarella mixture. Place open faced sandwich under broiler on a foil-lined baking sheet and broil for 2-4 minutes, until cheese is melted and begins to bubble. Spoon sauce inside sandwich, close, and serve. 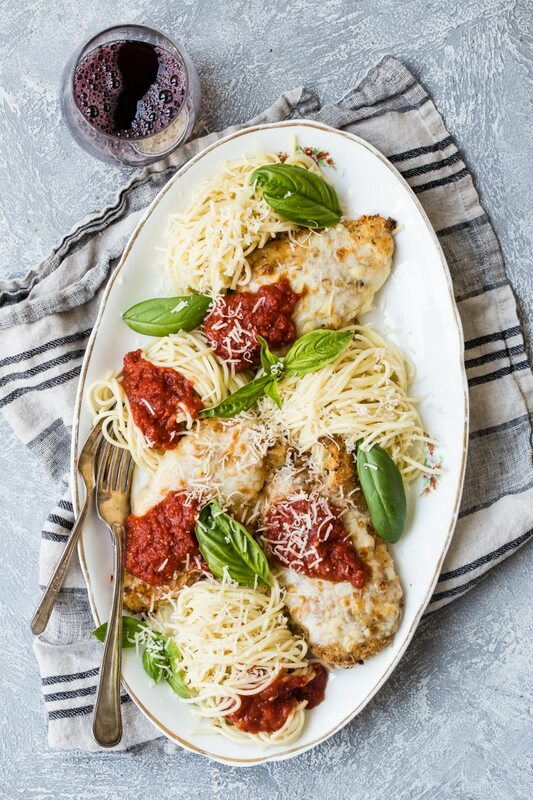 I love Chicken Parmesan with pasta, but garlic bread makes a perfect addition, as well as a crunchy garden salad and a bottle of red wine shared with friends. Try my Homemade Caesar Salad Dressing and my recipe for Roasted Green Beans–they’re always big hits. 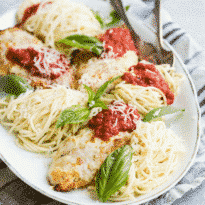 Save this Chicken Parmesan to your “Dinners” Pinterest board! Bring 4 quarts of water and 1 tablespoon salt to boil pasta. Add pasta and return to boil. Allow to cook until soft 8-12 minutes, drain, and keep warm until ready to serve. Heat 2 tablespoons oil in medium saucepan over medium heat until shimmering. Add garlic, salt, oregano, and pepper flakes. Cook stirring occasionally, until fragrant, about 30 seconds. Stir in tomatoes and sugar; increase heat to high and bring to a simmer. Reduce heat to medium-low and simmer until thickened, about 20 minutes. Remove from heat, stir in basil and remaining oil; season with salt and pepper to taste. Cover and keep warm. Sprinkle each side of cutlet with 1/8 teaspoon salt and let stand at room temperature for 20 minutes. Meanwhile, combine mozzarella and fontina in a bowl; set aside. Adjust oven rack 4” from broiler element and heat broiler. Whisk egg and flour together in shallow dish until smooth. In a second shallow dish, combine Parmesan, panko, garlic powder, oregano, and pepper. Pat chicken dry with paper towels. Working with one cutlet at a time, dredge cutlet in egg mixture, allowing excess to drip off. Coat all sides in Parmesan mixture, pressing gently so crumbs adhere. Transfer cutlet to large plate and repeat with remaining cutlets. Heat oil in a 10” nonstick skillet over medium-high heat until shimmering. 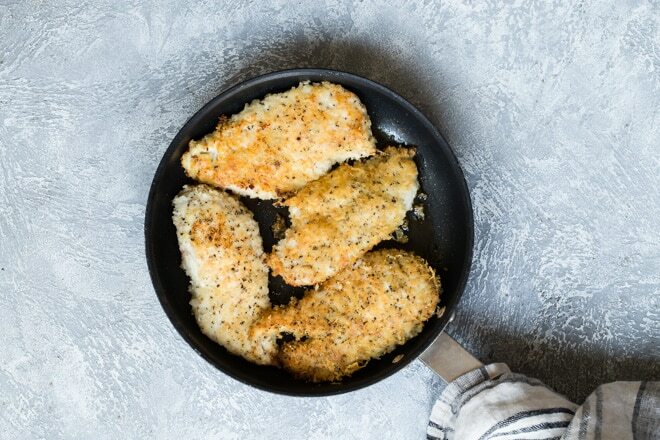 Carefully place 2 cutlets in skillet and cook without moving them until bottoms are crispy and deep golden brown, 1 1/2 to 2 minutes. Carefully flip cutlets and cook on second side until deep golden brown, 1 1/2 to 2 minutes. Transfer cutlets to paper-towel lined plate and repeat with remaining cutlets. Place cutlets on rimmed baking sheet and sprinkle cheese mixture evenly over cutlets, covering as much surface area as possible. Broil until cheese is melted and beginning to brown, 2-4 minutes. Transfer chicken to serving platter and top each cutlet with 2 tablespoons sauce. 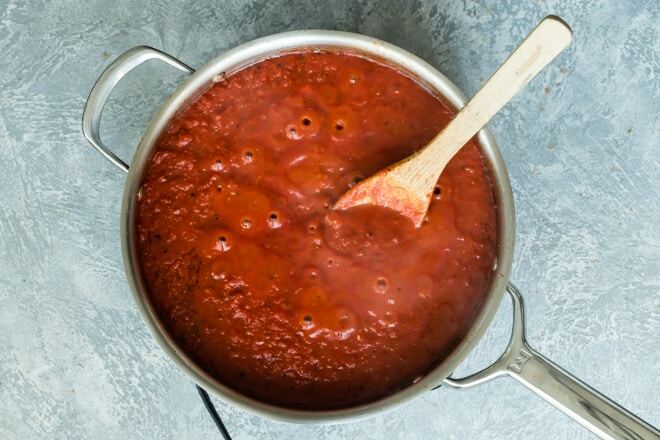 Sprinkle with basil and serve immediately over spaghetti, passing remaining sauce separately. Tip: To make shredding semi-soft cheese easier, spray a little cooking oil on your grater to keep the cheese from sticking. Provolone, gruyere, or gouda may be substituted for the fontina.